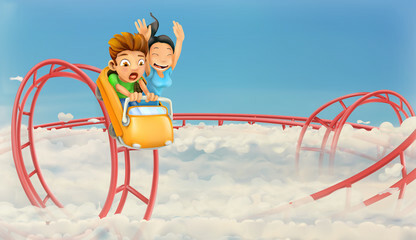 Yes, you could say my life, lately, is like a roller coaster ride. Spent most of yesterday trying to think of anything ELSE I could do to make son’s room ‘less cluttered’ AND attempted to think of new ways to protect my knitting projects & yarns. Texted oldest son today, asking if he knew ‘when’ the move was happening (since he has a pickup truck & middle son would ask for his help.) Turns out middle son spent the night at oldest son’s – they had a long talk and outcome is: Middle son is going to stay at his apartment. (for how long, we don’t know). I feel like a person who’s just been given a reprieve – my entire day was kind of in ‘limbo’ – no plans until ‘the move’ – not even what’s for dinner plans! Of course, I thanked the Lord, first, for this ‘new event’. Wow…all I can say is: WOW! with a spoon & pour over ham/etc. pour into at least a 2 qt. baking dish. Place all ingredients into crokpot. being careful not to overwork the meat. more. Serve sauce over patties. longer pink, breaking into crumbles. serving. Makes 24 (1/4 C. each) servings. seasoning packet – shake well. Drizzle over salad & toss to coat. & oil from 1/2 C. to 1/3 C.
not sure I’d stay here! We Michiganders have had so much of this sh** that we couldn’t move if we wanted to.